To participate in our next Technical Week in Colombia please click here. 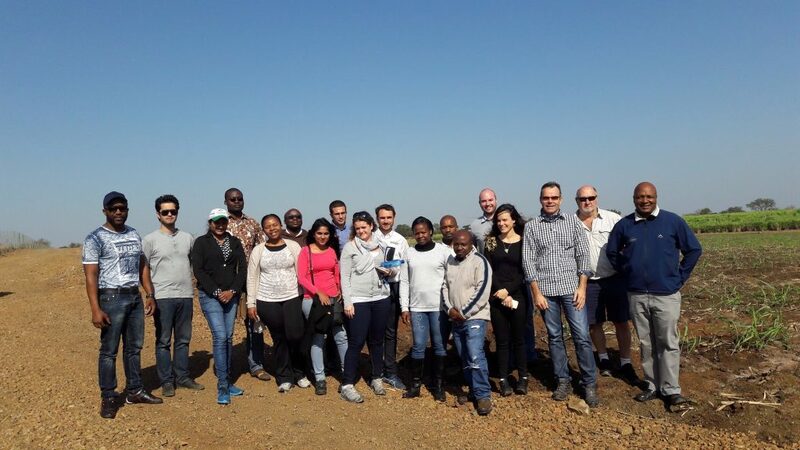 The final week of June concluded with another fruitful Bonsucro Technical Week, this time in Swaziland, following on from the recent editions in Mexico, Thailand, and Brazil. 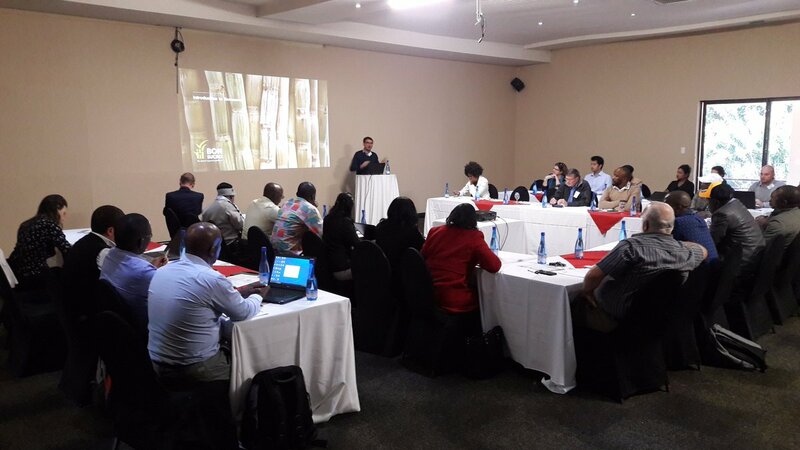 The weeklong event gathered 35 experts from across the continent, representing milling and farming companies, governmental organisations, civil society and sugar industry service providers, including auditors, soil scientists and agronomists. While the week was designed to give participants a strong grounding in the principles of sustainable sugarcane production through training on the Bonsucro certification system, it also aimed to encourage discussion of some of the most critical topics pertinent to many realities in Africa, including small-scale farming, land tenure rights, and the relationships between farmers and millers. The three-day training highlighted the opportunity for mills and farms to gain competitive advantage with the compliance with Bonsucro Production Standard, both in terms of marketing their products and creating organisational efficiency by reducing risks and increasing production. Those who passed the optional exam were recognised as Expert/Auditors and featured on the Bonsucro Website. Bonsucro’s revolutionary cloud-based tool for the sugarcane industry, Connect, was presented highlighting all of its features. The tool contains all elements forming the Bonsucro Calculator, with supplementary capabilities to assess a mill’s or farm’s progress against the Production Standard. The added benefit involved the ability of benchmarking their performance in real time against other mills around the world. Bonsucro Connect aims to make monitoring and auditing easier, more accessible and efficient. In partnership with RMI, WWF, Solidaridad and Partner Africa, Bonsucro will be launching the Centre of Excellence for smallholder development. 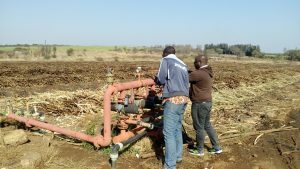 The Centre, based in Swaziland’s cane-growing region, will focus on training and equipping small-scale farmers with skills for flourishing sustainable agriculture. This will include cane husbandry, business practices and good governance, with a strong emphasis on improving the sustainability and efficiency of smallholders. Bonsucro is motivated to consider how the principles and indicators that form part of the Standard can be implemented in the smallholder context, and what next steps are required for farmers to succeed. The field visit to Ubombo mill located in Tambuti estate allowed participants to see lessons learned during Technical Week applied in practice. It was a fantastic opportunity for the delegates to engage in conversations with the farmer and mill workers, whilst keeping the Standard in mind and reflecting on the management of diverse complexities present in these organisations. Securing tenure through land rights was a focal topic of discussion throughout the Technical Week, pertinent to all sugar sectors in Africa. It depicted a critical area of urgent action to minimise the vulnerability to hunger and poverty being experienced in numerous livelihoods across the continent. Bonsucro’s Standard criteria, in addition to other African legislative systems, was recognised as a means of securing tenure of land as it requires to “demonstrate clear title to land and water in accordance with national practice and law”. However, despite Swazi legislative systems demanding farmers to prove their rights to farm on land and Malawi’s efforts in mapping land held by community members; great inefficiencies still exist as a consequence to extended waiting periods to attain recognition of land being registered and owned by individuals. Numerous countries, including Mozambique, established conditions in which land can be recognised as belonging to individuals including either through: 1) inheritance, or customary and local community authorities; 2) land occupation for more than 10 years; and 3) the right to occupy and use land issued by the government. Nevertheless, land is frequently exchanged and traded between individuals outside of these systems; making legal tenure rights for small-scale sugarcane growers a complex process. A solution to numerous tenure and rights risks, proposed during Technical Week by Ben Bowie of TMP Systems, involved using technology to authenticate and monitor land rights among smallholder farmers. TMP offers inexpensive monitoring system that can further reduce such risks, whilst improving farm efficiency for all stakeholders involved in sugar production. This forms part of a pilot project funded by DFID’s LEGEND Challenge Fund. Bonsucro and TMP are collaborating to realize the potential for free and open-source data to be employed in inexpensive field monitoring systems. The system will be tested in partnership with farmers and millers in African countries that fall within LEGEND’s scope. If you are interested in participating in our next Technical week please click here. Thank you to all the delegates who generously contributed with their experiences and reflections, making Bonsucro Technical Week a gathering of symbiotic learning and progress towards sustainability.